Every summer, my family stays at a bed and breakfast at a working dairy farm in Pennsylvania. The experience is idyllic and therapeutic. You can see first hand how farms have moved from generation to generation and you can clearly see the transition of knowledge from generation to generation. I enjoy soaking in their interactions. I don’t think I’ve ever seen one of the grandkids be disrespectful and I’ve never heard an adult say “Not now, I’m busy”. I take a lot of lessons home with me every year. 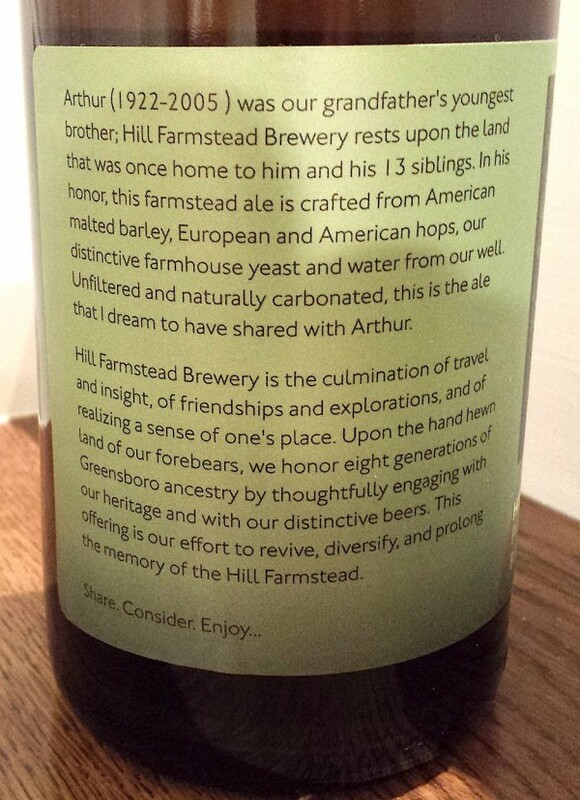 While I don’t know Shaun Hill or his family, I picture the same multi-generational farm existence in northern Vermont at the Hill Farmstead. 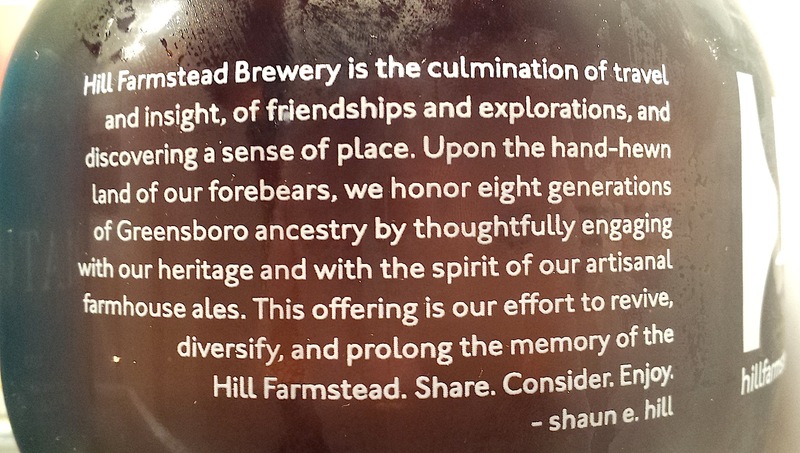 One of the things I really like is that Shaun Hill pays homage to the eight generations of his family by naming a quite a few of his beers after these forbearers. I like that these bottles make the introduction and explain how they are related to Shaun. While farmhouse saison is not one of my go to styles, I did discover that I do like Hill Farmstead’s take on the style. What’s different? 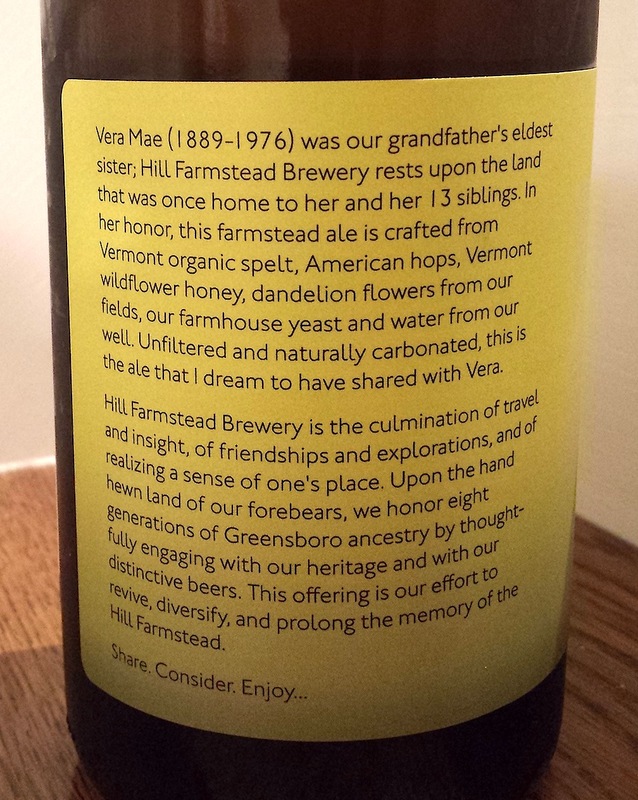 I find most saisons are dominated with a yeasty banana clove flavor while Hill Farmstead has a tart lemon that overrides and compliments a barnyard funk, hay and grass. 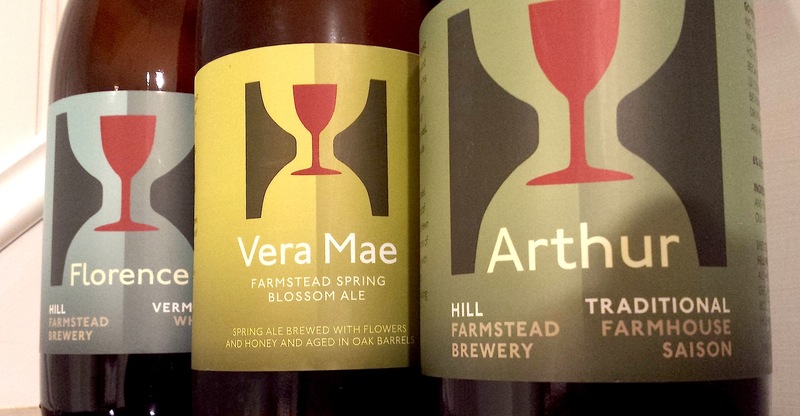 It’s like Hill Farmstead is on their own saison-style island. Solid and very drinkable – 92 points. Shared a bottle of Vera Mae with another couple at the lake. They both love IPA so I wasn’t sure how the mild sour experience would go over but overall, I think it was a hit. General comments were of lemon, crispness, sourness, funky. To me, it really hit the spot on a somewhat warm day. 92 points. Just finished splitting some logs – not the manly way with an axe but rather sitting with a log splitter. Nonetheless, worked up a sweat lugging the machine back to the garage. 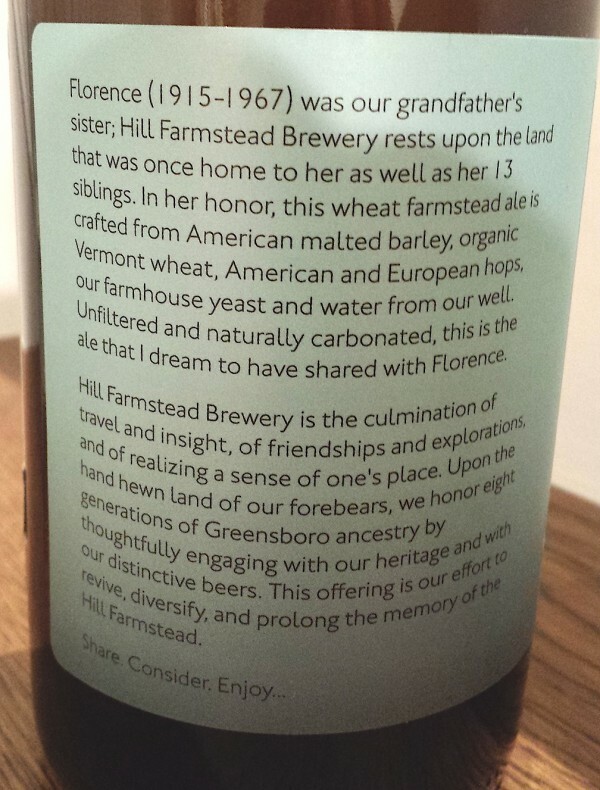 This beer is totally refreshing. Sour, crisp, lemon. The subtleties between each of these beers is lost on me. The best I can judge is that Vera Mae was the strongest in flavor followed by Arthur then Florence but all with similar flavor profiles. I liked this one just the same — 92 points. This entry was posted in All Beers, Ratings: 90 - 94, Style: Fruit/Saisson and tagged Arthur, Clara, HIll Farmstead, Saisson, Shaun Hill, Vera Mae by Administrator. Bookmark the permalink.